"Create leaders that will shape our future"
LDC will be a place for delegates to understand and realise their leadership potential, throughout a six day conference that will involve a range of activities and guest speakers. The conference offers an environment that allows delegates to develop their leadership and communication skills, as well as providing a better understanding of their Chinese heritage and the importance of their role in New Zealand's growing multicultural society. Accomplished guest speakers from all around New Zealand of various backgrounds will present insight on how they gained a leadership edge in today's society. The date for the conference will be from 3 - 8 February 2019. It is aimed at Chinese young people who have an interest in making a positive impact on the local Chinese community within New Zealand and to enrich their outlook on life both personally and professionally. In order to attend NZCA LDC 2019, all applicants must be a member of a branch of the NZCA. If you are not a branch member of the NZCA, please contact the branch in your region or visit our Details & Contact page for more information. Successful applicants will be notified that they have been chosen as delegates in mid-November. An information pack will be provided to all delegates at least one week prior to the commencement of the conference. Building lifelong friendships with like-minded individuals. LDC was a visionary idea from NZCA National President Kai Luey in 2005 and had it's inaugural event in 2007. LDC has since become an immensely popular bi-annual NZCA event with camps hosted by the Auckland, Wellington and Manawatu branches. Over 200 delegates have attended LDCs from all over New Zealand and internationally, including Australia and the United States. LDC 2019 is largely subsidised through funding from the Chinese Poll Tax Heritage Trust and the NZCA National Office. Based in Singapore, Albert King has been an action learning facilitator and personal development coach for over 10 years, delivering programs to corporations and global young professional groups on teamwork, leadership, communications and goal setting. His message has touched communities spanning Sri Lanka to Nepal, Indonesia to Turkey. Albert has amassed over 25 years of finance and business experience with positions held in Australia, United Kingdom and Southeast Asia. A volunteer with Make-A-Wish Foundation and Habitat for Humanity, he was the recipient of the Rotary Club of Singapore “The Good Samaritan” Award in 2009. Mai Chen was born in Taiwan and emigrated in 1970 with her family to Christchurch at the age of six. She has a First Class Law Honours degree from Otago University, a Masters degree from Harvard Law School, is a Fellow of the New Zealand Institute of Management, and an Honorary Associate of Auckland University of Technology. Mai is a Founding partner of Chen Palmer, which has won awards in the New Zealand Law Awards, including Best Public Law Firm, and recently celebrated its 20th anniversary in 2014. Her achievements have been showcased in numerous awards, including Next Magazine’s Business Woman of the Year in 2011, the Business and Entrepreneur Women of Influence Award in 2013, and as a Top 10 finalist for 2014 New Zealander of the Year. Mai is a best-selling author and is currently the Managing Partner at Chen Palmer and Adjunct Professor of Commercial and Public Law at the University of Auckland Business School. Arriving in New Zealand from Canton, Meng Foon’s parents came with no wealth, but with a keen spirit to pave a better future for generations to come. He is the eldest of three sons from a market gardening background, having left school at the age of 17 to join the family business. Mayor of Gisborne since 2001, Meng is proud to be the only mayor fluent in English, Cantonese and Maori in this country. With a degree in Iwi Environmental Management, his principal modus operandi is to enjoy every moment on top of this earth. 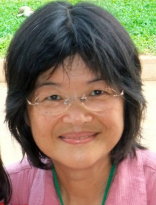 Annie Chen-Green is a General Practitioner, Medical Director of One-2-One Cambodia and Chair of One-2-One Charitable Trust. The Trust was established to address and meet the holistic needs of the most vulnerable in communities across the world, especially those in Cambodia. A special project for Annie has focused on those on low incomes affected by the 2011 Christchurch, and assisting them to rebuild their lives. She also serves as a medical advisor to Life Resources as well as a medical advisor to Bright Hope International. In 2011, Annie’s humanitarian work was acknowledged and showcased at the Flaxwood Festival. Jilnaught Wong is Deputy Dean, Director of the Graduate School of Management and Professor of Accounting at The University of Auckland Business School. His experience includes public accounting and investment banking in New Zealand and in the US. Married to Julie, a third generation Kiwi Chinese, Jilnaught has two grown up children, Chris and Kimberley. He is an Honorary Chairman of the Auckland Zhong Shan Clan Association and a member of the Auckland Toastmasters Club. Jilnaught enjoys rugby, tramping, reading and travel. Please note: LDC 2019 coincides with Chinese New Year - please get in touch via nzcaldc@gmail.com if you have any questions regarding the attendance of LDC during Chinese New Year celebrations. The application form's questions below will ensure that we select the applicants who will get the most value from LDC. Please allow 30 - 50 minutes to fully complete the form. Please sign the form with your signature. The NZCA Branch section does not need to be filled out by you.